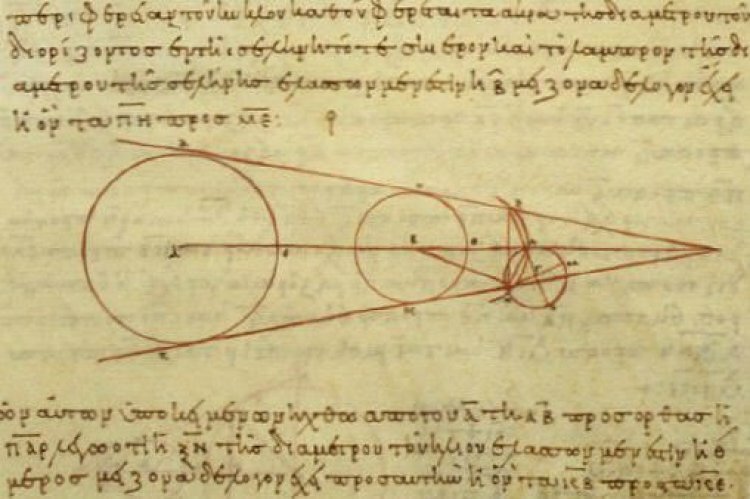 The ancient Greeks laid the essential groundwork and even began to build the structure of much of modern mathematics. After staring at this pattern of numbers for a while, the pattern emerges: 3 + 2 = 5 and 7 + 5 = 12, so the number in the right-hand column, after the first row, is the sum of the two numbers in the row above. Furthermore, 2 + 5 = 7 and 5 + 12 = 17, so the number in the left-hand column is the sum of the number to its right and the number immediately above that one. The question is: does this pattern continue? To find out, we use it to find the next pair. The right hand number should be 17 + 12 = 29, the left-hand 29 + 12 = 41. Now 412 = 1681, and 292 = 841, so 412 = 2× 292 – 1. Repeating the process gives 41 + 29 = 70 and 70 + 29 = 99. It is easy to check that 992 = 2×702 + 1. So 992/702= 2 + 1/702. In other words, the difference between the square root of 2 and the rational number 99/70 is approximately of the magnitude 1/702. (You can check this with your calculator). The complete pattern is now evident. The recipe for the numbers is given above, and the +1’s and -1’s alternate on the right hand side. In fact, the Greeks managed to prove (it can be done with elementary algebra) that pairs of numbers can be added indefinitely, and their ratio gives a better and better approximation to the square root of 2. The essential discovery here is that, although it is established that the square root of 2 is not a rational number, we can by the recipe find a rational number as close as you like to the square root of two. This is sometimes expressed as “there are rational numbers infinitely close to the square root of 2” but that’s not really a helpful way of putting it. It’s better to think of a sort of game – you name a small number, say, one millionth, and I can find a rational number (using the table above and finding the next few sets of numbers) which is within one millionth of the square root of 2. However small a number you name, I can use the recipe above to find a rational that close to the square root of 2. Of course, it may take a lifetime, but the method is clear! Zeno of Elea (495-435 BC) is said to have been a self-taught country boy. He was a friend of a well-known philosopher, Parmenides, and visited Athens with him, where he perplexed Socrates, among others, with a set of paradoxes. (Plato gives an account of this in Parmenides.) We shall look at two of them here. 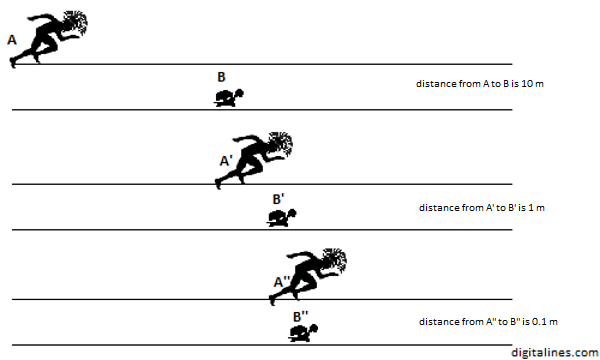 A two hundred yard race is set up between Achilles, who can run at 10 yards per second, and the tortoise, who can run at one yard per second (perhaps rather fast for a tortoise, but I’m trying to keep the numbers simple). To give the tortoise a chance, he is given a one-hundred yard start. Now, when Achilles has covered that first 100 yards, to get to where the tortoise was, the tortoise is 10 yards ahead. When Achilles has covered that 10 yards, the tortoise is 1 yard ahead. 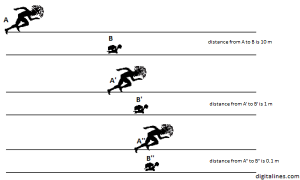 When Achilles has covered that 1 yard, the tortoise is 1/10 yard ahead. Now, Zeno says, there is no end to this sequence! We can go on forever dividing by 10! So, Zeno concludes, Achilles has to cover an infinite number of smaller and smaller intervals before he catches the tortoise. But to do an infinite number of things takes an infinitely long time – so he’ll never catch up. What is wrong with this argument? Try to think it through before you read on! The essential point becomes clearer if you figure out how long it takes Achilles to cover the sequence of smaller and smaller intervals. He takes 10 seconds to cover the first 100 yards, 1 second to cover the next 10 yards, 1/10 second for the next yard, 1/100 second for the next 1/10 of a yard, and so on. If we write down running totals of time elapsed to each of these points we get 10 seconds, 11 seconds, 11.1 seconds, 11.11 seconds and so on. It is apparent that the total time elapsed for all the infinite number of smaller and smaller intervals is going to be 11.1111111…, with the 1’s going on forever. But this recurring decimal, 0.111111… is just 1/9, as you can easily check. The essential point is that it is possible to add together an infinite number of time intervals and still get a finite result. That means there is a definite time-11 1/9 seconds-at which Achilles catches up with the tortoise, and after that instant, he’s passed the tortoise. Consider the flight of an arrow through the air. Let us divide time up into instants, where an instant is an indivisibly small time. Now, during an instant, the arrow can’t move at all, because if it did, we could divide up the instant using the changing position of the arrow to indicate which bit of the instant we are in. However, a finite length of time-like a second-is made up of instants. Therefore, if the arrow doesn’t move at all during an instant, it doesn’t move in a sum of instants. Hence, it can’t move in one second! What’s wrong with this argument? Now there certainly is such a thing as an instant of time: for example, if the arrow is in the air from time zero to time two seconds, say, then there is one instant at which it has been in the air for exactly one second. The catch is, there is no way to divide time up into such instants. Imagine the time from zero to two seconds represented by a geometric line two inches long on a piece of paper. By geometric, I mean an ideal line, not one that’s really a collection of microscopic bits of pencil lead, but a true continuous line of the kind the Greeks imagined. Time has that kind of continuity-there aren’t little gaps in time (at least, none we’ve found so far). Now try to imagine the line made up of instants. You could start by putting dots every millionth of a second, say. But then you could imagine putting a million dots between each of those pairs of dots, to have a dot every trillionth of a second. And why stop there? You could keep on indefinitely with this division. But if you spend the rest of your life on this mental exercise, you will never put a dot at the instant corresponding to the time being the square root of two! And it has been proved by the mathematicians that there are infinitely more irrational numbers than there are rational numbers. So there really is no way to divide time up into instants. If you’re still not sure, think about the following problem: what’s the next instant after the instant at time equals one second? On the other hand, it is obviously useful in analyzing the motion of the arrow to look at the motion one bit at a time-in other words, to divide the time up somehow, to get a grip on how the arrow’s speed may be varying throughout the flight. So how should we proceed? Zeno’s dividing of time into instants was not very easy to understand, as we’ve seen. It’s much easier to visualize dividing time into intervals. For example, the two seconds the arrow is in the air could be divided into two hundred intervals, each of length one-hundredth of a second. Then we could find its average speed in each of those intervals by measuring how far it went in the one-hundredth of a second, and multiplying by one hundred. That is, if it went two feet in the one-hundredth of a second interval, it was traveling at two hundred feet per second during that interval. (Of course, it might not be going at that speed for the whole flight-that’s why we’ve divided it into intervals, so that we can monitor the speed the whole time). Of course, if the arrow hits something, it will slow down very rapidly-there will be a big change in speed in one hundredth of a second. 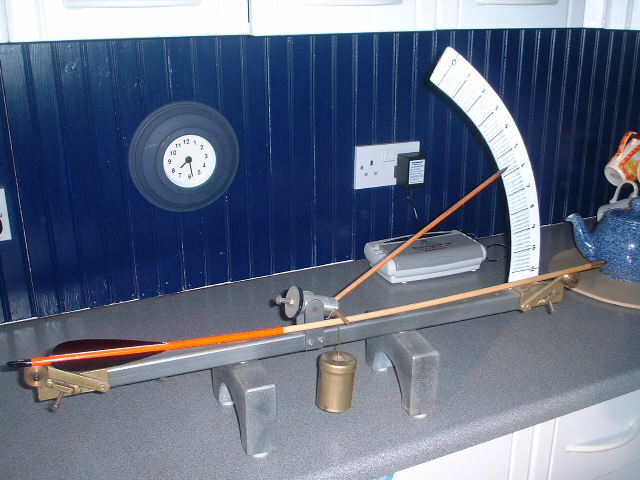 If we want to describe the motion of the arrow in this situation, we must divide time up into smaller intervals, say thousandths of a second, or even ten-thousandths of a second, depending on how precisely we want to follow the change in speed. There is still a problem here we haven’t quite faced. All this dividing time up into small intervals and finding the average speed in each interval gives a pretty good idea of the arrow’s progress, but it’s still a reasonable question to ask: just what is the arrow’s speed at the instant one second after the flight began? How do we answer that question? Think about it before you read on. The essential point about speed is that it is a rate of change of position-this is obvious when you think about measuring speed, it’s in units like miles per hour, feet per second, etc. This implies that to make any statement about speed we have to say how far the arrow moved between two specified times. Therefore, to find the speed at the time one second after takeoff, we would need to find where the arrow is at, say, 0.995 seconds after takeoff, then at 1.005 seconds after takeoff. I’ve chosen here two times that are one-hundredth of a second apart. If the arrow moves one and a half feet during that period, it’s going at 150 feet per second. You might object, though, that this is still not very precise. Probably 150 feet per second is pretty close to the arrow’s speed at one second after takeoff, but it’s really an average over a time interval of one-hundredth of a second, so may not be exactly the speed in the middle of the time. This is true-it may not be. What we must do, at least in principle, is to take a smaller time interval, say one-millionth of a second, again centered at time one second, as before. We now measure how far the arrow moves in the one-millionth of a second, and multiply that distance by one million to get the arrow’s average speed over that very short time. Of course, you could say you’re still not satisfied. You want to know the precise speed at the one second mark, not some approximation based on the average over a time interval. But, as we’ve just said, all speed measurements necessarily involve some time interval, which, however, can be as short as we like. This suggests how we should define what we mean by the speed at one instant of time-we take a sequence of shorter and shorter time intervals, each one centered at the time in question, and find the average speed in each. This series of speed measurements will close in on the exact speed at the time one second. This should remind you of the discussion of the square root of two. There we had a sequence of rational numbers such that if you come up with some small number such as a millionth of a trillionth, we could always find a rational within that distance of root two. Here we are saying that if you want the speed to some preassigned accuracy, we can find it by taking a sufficiently small time interval around the time in question, and computing the average speed in that interval. Actually, this may not be as difficult as it sounds. For example, imagine an arrow moving far out in space at a steady speed, with no air resistance or gravity to contend with. Then it will go at a steady speed, and the average speed over all time intervals will be the same. This means we can find (in principle) the exact speed at any given time without having to worry about indefinitely small time intervals. Another fairly simple case is an arrow gaining speed at a steady rate. 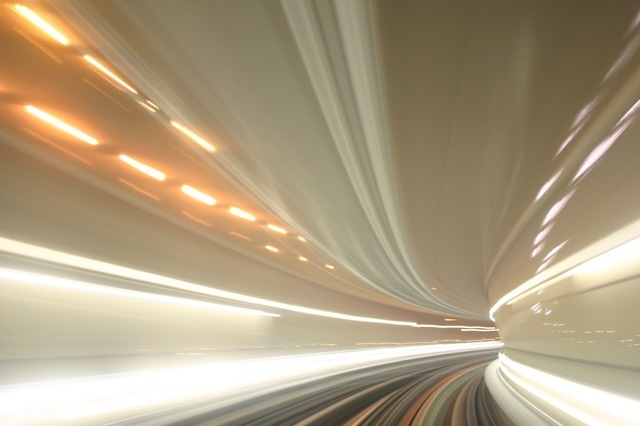 Its speed in the middle of a time interval turns out to be exactly equal to its average speed in the interval. We shall be discussing this case further when we get to Galileo. We should emphasize that the above discussion of intervals, instants and so on was not the response of the Athenians to Zeno. Only with later work by Eudoxus, Euclid and Archimedes did the way to deal with these small quantities gradually become apparent. Zeno’s contribution was that he initiated the discussion that ultimately led to the calculus. In fact, according to Bertrand Russell (History of Western Philosophy) Zeno taught Socrates the Socratic method-the method of seeking knowledge by systematic question and answer. Unhappily, Zeno’s approach did not win him powerful friends, and “he finally lost his head for treason or something of the sort” (Bell,Men of Mathematics). Both the Babylonians and the Egyptians used approximations to pi, the ratio of the circumference of a circle to its diameter. The Egyptians used a value 3.16, within one per cent of the true value. (Further details can be found in Neugebauer, The Exact Sciences in Antiquity, Dover, page 78.) Actually, this value follows from their rule for the area of a circle, (8/9.d)2, but it is reasonable to suppose they could have constructed a circle and measured the circumference to this accuracy. There are no indications that they tried to calculate pi, using geometric arguments as Archimedes did. So the first step-comparing the circle with the hexagon-tells us that pi is greater than three. Archimedes’ next move was to find a polygon inscribed in the circle that was closer to the circle than the hexagon, so that its perimeter would be closer to the circumference of the circle. His strategy was to double the number of sides of the polygon, that is, to replace the hexagon by a twelve-sided regular polygon, a dodecagon. Obviously, from the figure, the perimeter of the dodecagon is much closer to that of the circle than the hexagon was (but it’s still obviously less, since, like the hexagon, it is a series of shortcuts on going around the circle). Calculating the perimeter of the dodecagon is not as simple as it was for the hexagon, but all it require is Pythagoras’ theorem. Look at the figure. We need to find the length of one side, like AB, and multiply it by 12 to get the total perimeter. AB is the hypotenuse of the right-angled triangle ABD. We know the length AD is just ½ (recall the radius of the circle = 1). We don’t know the other length, BD, but we do know that BC must equal 1, because it’s just the radius of the circle again. Switching our attention to the right-angled triangle ACD, we see its hypotenuse equals 1, and one side (AD) equals ½. So from Pythagoras, the square of CD must be ¾. We will write CD = ½×sqrt3. Having found CD, we can find DB since CD + DB = CB = 1, that is, DB = 1 – ½×sqrt3. So we know the two shorter sides of the right-angled triangle ADB, and we can find the hypotenuse using Pythagoras again. In fact, Archimedes went on as far as the 96-sided regular polygon inscribed in the circle. He then started all over again with regular polygons circumscribed about the circle, so that the circle is touching the middle of each side of the polygon, and is completely contained by it. Such a polygon clearly has a perimeter greater than that of the circle, but getting closer to it as we consider polygons with more and more sides. Archimedes considered such a polygon with 96 sides. So, with a series of polygons inside the circle, and another series outside it, he managed to bracket the length of the circumference between two sets of numbers which gradually approached each other. This is again reminiscent of the Greek strategy in approximating the square root of 2. The result of all his efforts was the inequality: 3 10/71 < pi < 3 1/7. If we take the average of these two numbers, we find 3.14185. The correct value is 3.14159… . This phrase refers to the famous problem of finding an area with straight-line boundaries equal in area to a circle of given diameter. Archimedes proved that the area of a circle is equal to that of a right-angled triangle having the two shorter sides equal to the radius of the circle and its circumference respectively. The total area of the square is equal to the total area of the 4 triangles, which is 4 times ½×h×b, or ½×h×4b. Notice that this is the area of a long thin triangle, with height equal to the distance h from the middle of the side of the square to the center of the circle, and base equal to the perimeter length 4bof the square. The area of the square isn’t a very good approximation to that of the circle, but we can improve it by replacing the square by a regular octagon, with all its points on the circle. Now, this octagon can by divided into eight triangles, following the same procedure as for the square. The height of each of these triangles equals the distance from the center of the circle to the middle of one side of the octagon. Just as for the square case, the total area of these eight triangles is equal to that of a long thin triangle of the same height, and with base length equal to the perimeter of the octagon. It is evident that the height of the octagon’s triangles is closer to the radius of the circle than the height of the square’s triangles, and the perimeter of the octagon is closer to the circumference of the circle than the perimeter of the square was. The process is repeated: the octagon is replaced by a regular 16-sided polygon, with all its points on the circle. This polygon is equal in area to the sum of the 16 triangles formed by drawing lines from the center of the circle to its points. These triangles all have the same height, so they have total area the same as a long thin triangle having the same height, and base length equal to the perimeter of the 16-sided polygon. At this point, the pattern should be clear-as we go to polygons of 32, 64, … sides, the total area of the polygon is the same as that of a right angled triangle with a long side equal to the perimeter of the polygon, which approaches the circumference of the circle as the polygons have more and more sides, and the height of the triangle approaches the radius of the circle. Therefore, the area of the polygons approaches ½×base×height = ½×2×pi×r×r = pi×r2. This section and the next are optional—they won’t appear on any tests, etc. I just put them in for completeness. In fact, the account given above doesn’t do justice to the tightness of the Greeks’ geometric arguments. The approach to the limit of more and more sided polygons approximating the circle better and better is a bit vague. It’s not very clear how quickly this is happening. Eudoxus clarified the situation by giving a procedure putting a lower limit on how much more of the circle’s total area was covered by the new polygon created at each step. Let’s begin with the square. In the figure, we show the inscribed square EFGH, and also a circumscribed square ABCD. Clearly, the area of square EFGH is exactly half of that of square ABCD. Since the circle lies entirely inside ABCD, it follows that EFGH covers more than half of the area of the circle. Now consider how much more of the circle’s total area is covered when we go from the square to the octagon. We add triangular areas like EPF to each side of the square. Now, notice that the triangle EPF has area exactly half of the rectangular area ELKF. If we had added rectangular areas like that to the four sides of the square, the circle’s area would have been completely contained. This implies that by adding just the triangles, that is, going from the square to the octagon, we are covering more than half of the area of the circle that lay outside the square. This same argument works at each step: so, the inscribed square covers more than half the circle’s area, going to the octagon covers more than half the rest, so the octagon covers more than three-quarters of the circle’s area, the 16-sided inscribed polygon covers more than seven-eighths of the circle’s area, and so on. Archimedes used Eudoxus’ approach to prove that the area of a circle was equal to that of the right-angled triangle with shorter sides equal to the radius and the circumference of the circle. Suppose, he said, that the triangle’s area is less than the circle’s. Then in the sequence of polygons with 4, 8, 16, 32, … sides, we will get to one with area greater than the triangle’s. But that polygon will have an area equal to that of a number of triangles equal to its number of sides, and, as we’ve argued above, the sum of their areas is equal to that of a triangle having their height and base length equal to the perimeter of the polygon. But their height is less than the radius of the circle, and the perimeter is less than the circumference of the circle. Hence their total area must be less that that of the triangle having height the radius of the circle and base the circumference. This gives a contradiction, so that triangle cannot have area less than the circle’s. Supposing that the triangle’s area is greater than the circles leads to another contradiction on considering a sequence of polygons circumscribed about the circle-so the two must be exactly equal. 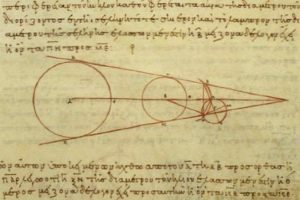 It is clear from the above discussion that the Greeks laid the essential groundwork and even began to build the structure of much of modern mathematics. It should also be emphasized that although some great mathematicians devoted their lives to this work, it nevertheless took three centuries of cumulative effort, each building on the previous work. Evidently, this required a stable, literate culture over many generations. Geometric results are difficult to transmit in an oral tradition! Recall that Archimedes was killed drawing diagrams in the sand for his pupils. This level of mathematical analysis attained by Archimedes, Euclid and others is far in advance of anything recorded by the Babylonians or Egyptians. Originally published by Michael Fowler under a Creative Commons Attribution-ShareAlike 3.0 Unported license. This entry was posted in Greece, Greek, History, Math. Bookmark the permalink.